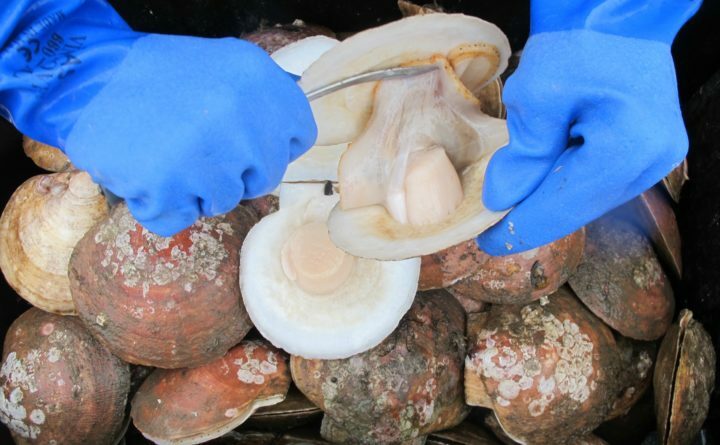 The yearly volume of scallop meat harvested in Maine has increased tenfold since 2009, from just shy of 79,000 pounds to 793,000 pounds in 2017. Over that same time period, the value of statewide scallop landings has grown from less than $600,000 to $9.3 million. The freeze on new licenses, however, has prevented younger people from getting into the fishery, pushing the average age of scallop fishermen up to 51 years. To address this issue, the Legislature passed a bill last year requiring the department to establish a limited entry system into the fishery. After consulting with the Scallop Advisory Council, DMR adopted a system by which it issues two new scallop dragger licenses for every three licenses that are not renewed, which will reduce the number of dragger boats in the fishery while simultaneously allowing new people to get licenses. The new entry system was designed to guarantee that younger fishermen could get licenses. For every two new dragger licenses that are issued, one will go to someone between the ages of 18 and 30, while the second will be awarded to someone 31 years of age or older. Of the licenses that will be issued as a result of this week’s lottery, two are going to younger fishermen and two are going to older fishermen. Because nearly 90 percent of the roughly 630 licensed scallop fishermen in Maine drag for the shellfish with nets by boat, the state is more keen to reduce the number of dragger fishermen than it is to cut back on the number of people with diver licenses who collect scallops underwater by hand. With the new limited entry system, the state will issue one new diver license via lottery for each diver license that is not renewed. All of the diver licenses DMR issued last year were renewed for the 2018-19 scallop season, however, so the state held no lottery to issue new diver licenses. All four of the new licensees picked this week will receive dragger licenses. Of the 1,290 people who applied to participate in the lottery, 401 were in the 18-30 category and 889 were in the 31-and-older category.